Spoilers, typos, and bad grammar ahead. You've been warned. There's an even greater challenge faced by any filmmaker these days: creating a compelling story that isn't just a "rip off" or retelling of a story that has already been told. There's this really fine line that exists between being inspired by previous works and not being creative enough to write something unique. 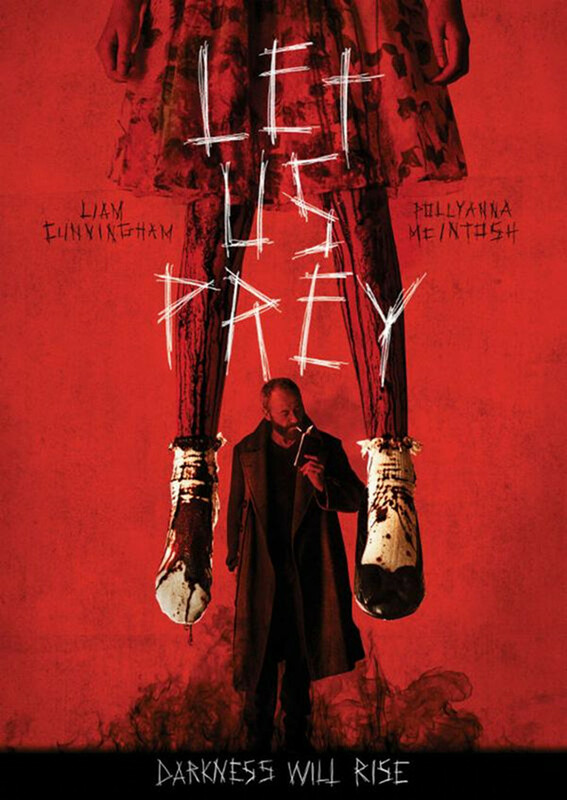 I was surprised to find that - for me - Let Us Prey stayed comfortably on the side of inspired by. Two strangers come to a remote island town. One is a rookie cop (played by Pollyanna McIntosh), the other is an imposing man of few words (played by Liam Cunningham). It soon comes to light that this island has an abnormally high percentage of "evil" people. (Sinners, if you will.) Soon, all sins are revealed and the guilty are punished. People are killed, souls are taken, and our rookie cop finds out that she's some sort of "chosen one." One place that Let Us Prey really worked for me: our "chosen one" says "yes" to Satan and (presumably) enjoys an eternity of revenge for the abuses she suffered as a child. And really - who can resist a man who tells you you're special, that he'll give you everything you ever truly wanted, and that "Hell is a cold place" without you? (Swoon.) My dear blogging friend over at I Watched It On Purpose said to me, "That had the best ending ever... I declared it romantic." What can I say? We're a rare breed, she and I. There is also a tone - in part visually but primarily thematically - that really resonates with 30 Days of Night; the isolation and resulting madness, a stranger that comes to town predicting doom and devastation, and one lone hero who will make drastic choices. I think the greater similarity between these two movies is the gore factor: the CGI was utter low-budget crap, BUT the gore was top notch. Gruesome beatings, hit and runs, nails broken off, mutilations, and so on - it's all there. I think these movies stick with us because the application of violence is so very visually striking. So that's it: Good story, fantastic acting, great effects, and a score I thought about buying. This one, I'm happy to say, is a win. Fangoria Magazine's review by Ken W. Hanley. The Irish Times's review by Tara Brady.